Spyware Terminator for Windows 10 - A program that provides reliable protection of your PC against virus software and hacker attacks. Working in real time, prevents malicious modules from entering the system. Blocks spyware and adware, protects against trojans, keyloggers. Due to regular updating of virus databases, this anti-virus product can detect and eliminate any threat. There are three scanning modes that differ in depth checking. Built-in monitoring system continuously monitors the file system and user activity on the Internet. 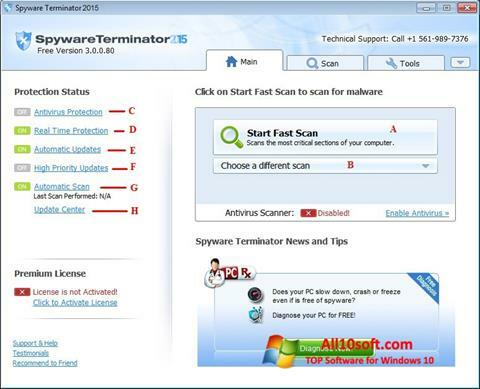 You can free download Spyware Terminator official latest version for Windows 10 in English.